SodexoMAGIC is seeking dynamic, self-motivated, solutions/results driven Executive Chef to assist with leading a school food nutrition program for a large K-12 account in Washington, DC. This SodexoMAGIC partnership serves 50,000 meals a day including breakfast, lunch, and supper/snack. The District is divided into 9 clusters with each cluster having 9-12 schools. This account generates over 35 million in revenue annually. The Executive Chef will be responsible for leading and managing food production systems as well as client and community engagement. The successful candidate will have at least 2-3 years experience in food management leadership, a strong culinary background with financial acumen, computer literacy as well as excellent leadership, communication and customer service skills. Will manage report to the General Manager and work with Leads in production, ordering waste , recipe creation and implementation. Will assist with implementing new programs that will increased participation. Will also run all catered events, menu creation/pricing. Knowledge of USDA regulations and processes in regard to the national School lunch program. ALL applicants should have previous National School Lunch Program and USDA experience along with a strong desire to create a showcase account. 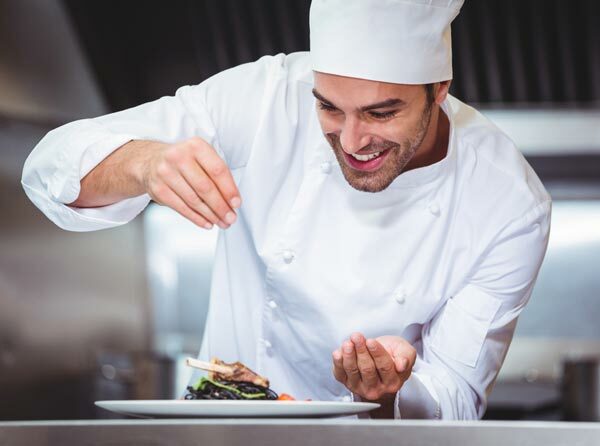 The best qualified Executive Chef will have strong hands-on scratch kitchen experience and will be accessible to staff while being on the floor during services times, showing strong leadership ability. We are looking for someone with great communication and training skills. This is a high-level culinary management role, but will also be hands-on as needed to support operations. Apply Now! How far will your ambition, talent and dedication take you? Working for Sodexo: Are you ready to start your Sodexo career?